This content is provided by Jakub Jędrzejak. A partner at WKB, Jakub co-heads the M&A team. 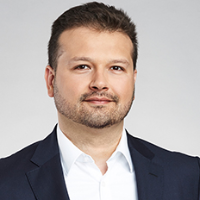 He specializes in M&A transactions, assisting leading Polish and international corporations and investors, notably private equity funds, on sale, acquisition and post-transactional integration of businesses. Within his broad M&A practice, Jakub is experienced in public takeovers and distressed M&A. He also advises on restructurings and insolvency processes, and he is experienced in banking and finance projects. His transactional, restructuring and financial capabilities are reflected in international directories, such as Chambers Global, and appreciated by clients who praise Jakub as their “go to lawyer in Poland”.